TM Lighting has created a niche in the world of art lighting, by venturing into the previously unexplored area of lighting private art collections. 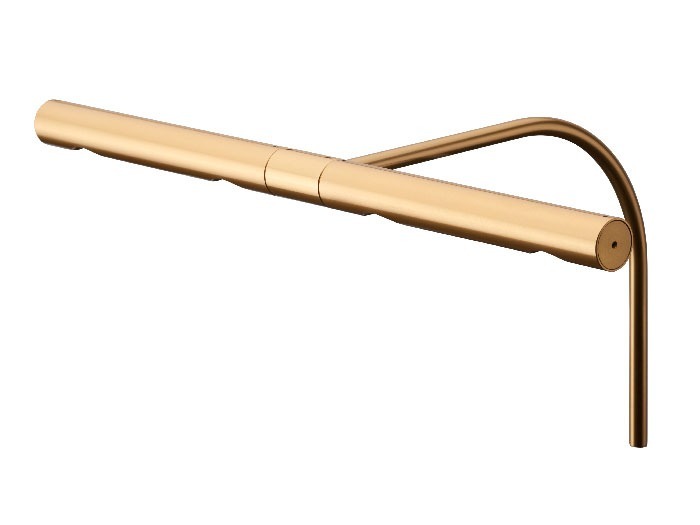 Here, David Morgan looks at the firm’s new TM Slim Light Pro. Good quality lighting is needed to bring out the best in valuable paintings and other artwork. While professional gallery and museum lighting is generally well considered, the lighting of artworks in private and heritage collections has until recently been fairly basic. The traditional picture light, incorporating linear incandescent or LV Xenon lamps with limited beam control, was used as a form of indirect wall light and did little to enhance the artwork. They performed quite poorly as lighting tools, producing a hot spot of light at the top of the picture and often making the frame brighter than the artwork. Little of the light ended up in the centre of the picture where it is generally most needed and the projected heat would, over time, damage sensitive pigments. At the bottom end of the market picture lights became commodity products available at low prices through retail distribution. While more expensive picture lights incorporating halogen lamps had better light quality and beam control projecting more light towards the centre of the painting, they also projected heat and some UV radiation, both undesirable in this application. With the fairly recent introduction of high CRI LEDs, more sophisticated and effective picture lighting systems are now becoming widely used by discerning art collectors and curators. The rise in the value of artworks has helped to justify the higher costs of better lighting equipment. A number of UK companies have entered this market in the past decade to take advantage of the growing interest in good quality picture illumination. TM Lighting was launched in London in 2010 by Harry Triggs and Andrew Molyneux, who had both worked in the lighting industry for a decade as lighting designer and luminaire designer for other companies. They have what they describe as ‘a passion for the art world and a mission to improve picture lighting quality’. It would seem as though their introduction to the art lighting market came via a chance encounter with one of their early customers, who was an eccentric art dealer and collector who pretended to be a butler and introduced his picture restorer as his master. Later it transpired that he was in fact a former art dealer to Lucien Freud, and close friend of Henry Moore and Graham Sutherland. Shortly after the meeting he commissioned TM Lighting to make the first set of TM Picture lights, to light his significant collection of modern art. These were designed, manufactured and delivered within two months. The latest picture lighting range to be launched by TM Lighting is the TM Slim Light Pro. As the name implies, this range has a smaller body than their earlier larger and more traditionally shaped products and is only 19mm in diameter. A series of tightly binned 95 CRI LEDs fitted with lenses to give precise beam control are housed in the machined aluminium body. A wide variety of lengths and finishes are available and a simple anti-glare accessory can be fitted to cut off any stray light. The modular design is suitable for artworks from 200 to 2,000mm width, and can illuminate canvases up to 2,500mm in height. The lighting head can rotate through 60-degrees. The mounting arm fits into a holder that is generally screwed to the picture frame. The LED driver is remote and can also be fitted to the picture frame. In the sample I was shown a manual dimmer was fitted to the driver so that the light level on each picture in a space can be tuned to work with the ambient lighting and to balance the lit effect. The demonstration luminaire lit a sample picture evenly across the whole picture surface with a good rendition of reds as would be expected with LEDs rated at 95 CRI. As the light level was dimmed down, the colour rendition quality seemed to be maintained quite well even at the lower light levels. Some competitors are offering warm to dim options in their LED picture lights, which TM Lighting consider to be inappropriate but I would think this could be a popular option for less discerning users if the ambient lighting in the space also had this feature. TM Lighting has rapidly established itself in the world of art galleries, collectors, artists and lighting designers with a glittering client list including Antony Gormley, Damien Hurst and Conrad Shawcross. All products are made and assembled in the UK, which enables the company to work closely with its customers to produce custom versions designed specifically for each project. 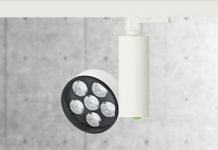 The company is now expanding into other product types for the same market with a range of high CRI LED spotlights for use in lighting three-dimensional artwork, and also for retail display applications. A variety of other custom luminaire developments based on their high CRI light engines have also been undertaken for clients. It is encouraging to see another UK startup company carving out a successful niche in a specific area of the lighting market based on high levels of product performance, quality and customer service. I am sure the TM Slim Light Pro will be a useful addition to their range.